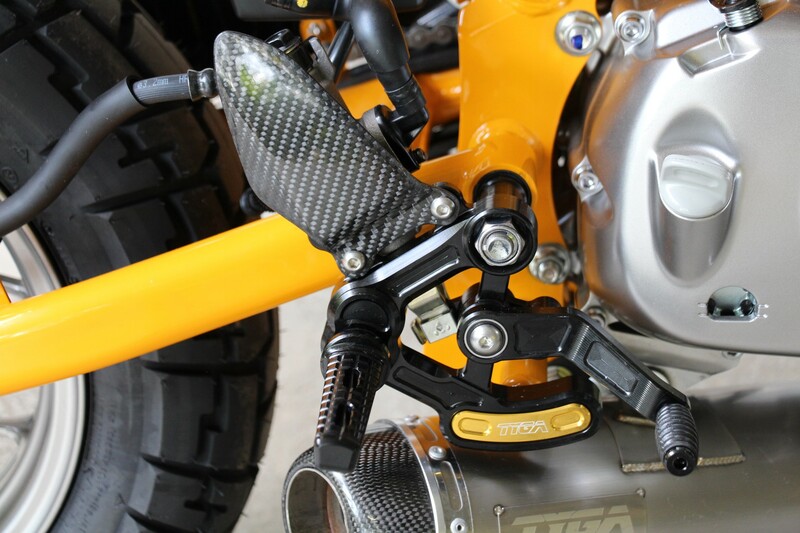 With all major components designed specifically for the Monkey 125 in mind, this rear set kit is the best on the market. 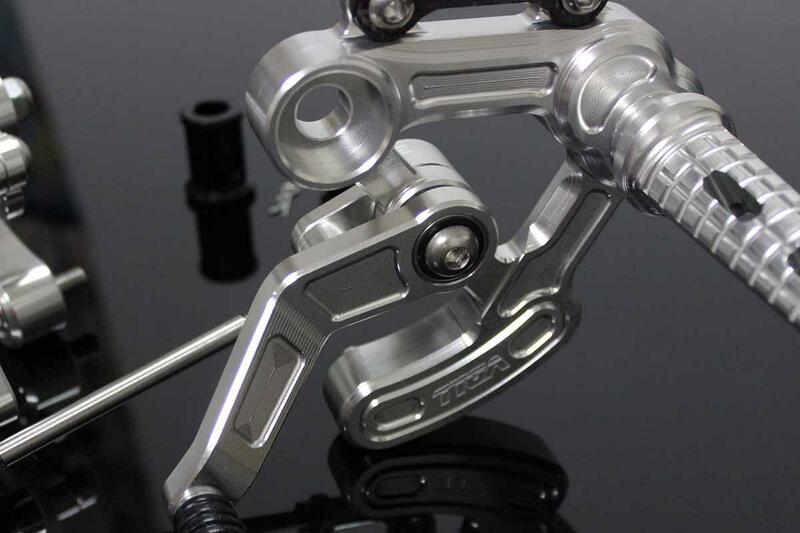 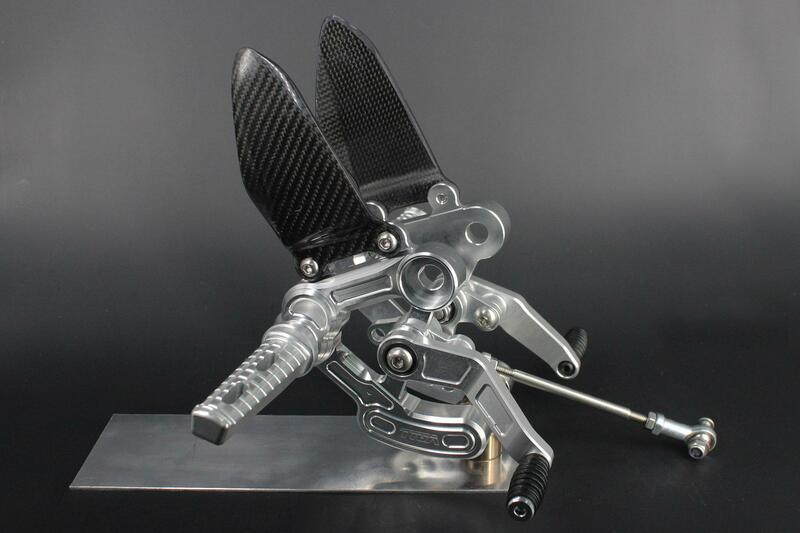 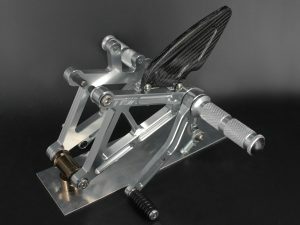 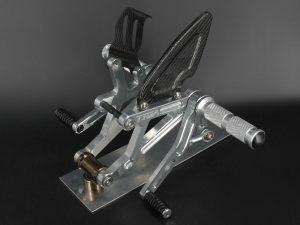 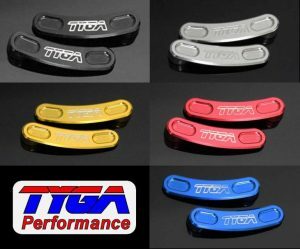 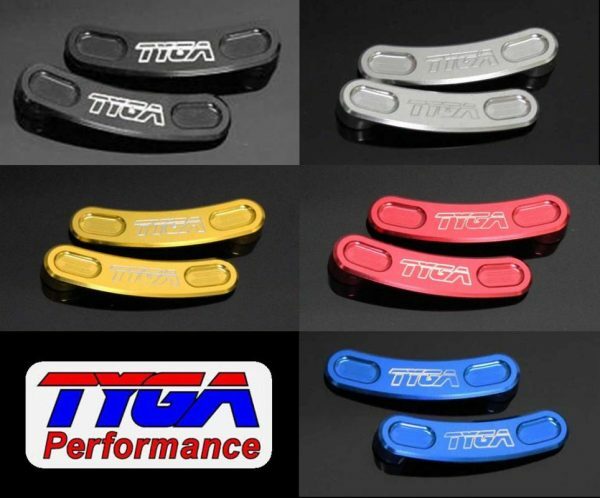 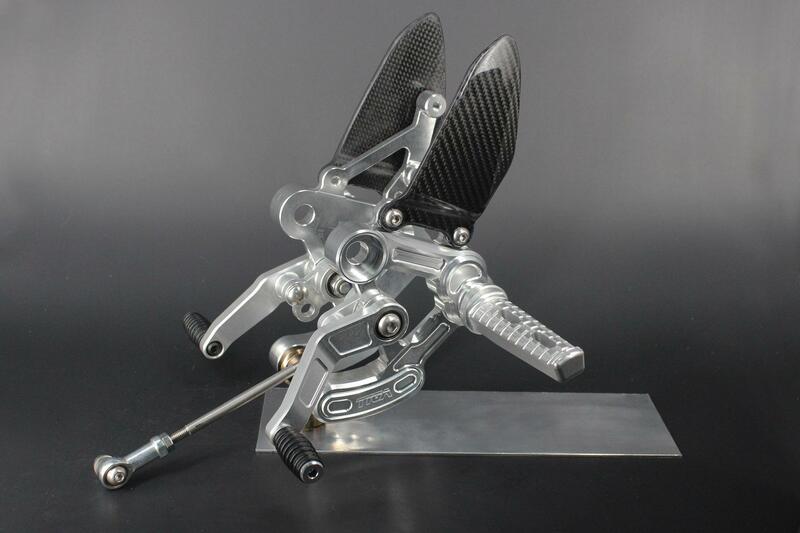 Designed in-house by TYGA Performance using the latest CAD/CAM software, these tough CNC machine-made step kits are made from top quality, aircraft grade aluminium and utilise TYGA’s unique and elegant system to provide ten different foot peg positions. 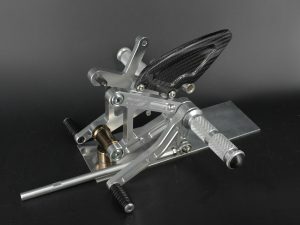 The kit features levers moving on ball bearings to give precise and smooth movement. 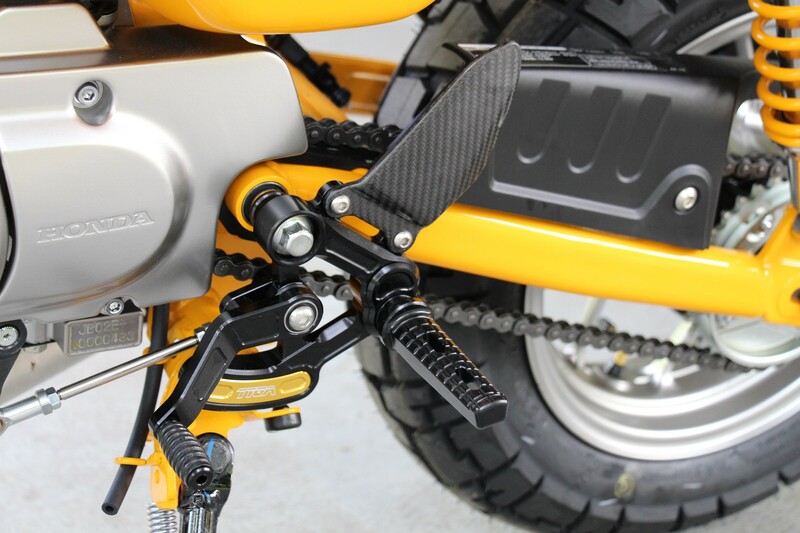 In addition to the technical specifications, emphasis has also been given to make the steps as uncluttered as possible with the rear master cylinder hidden from view and no unsightly unused holes on view etc. 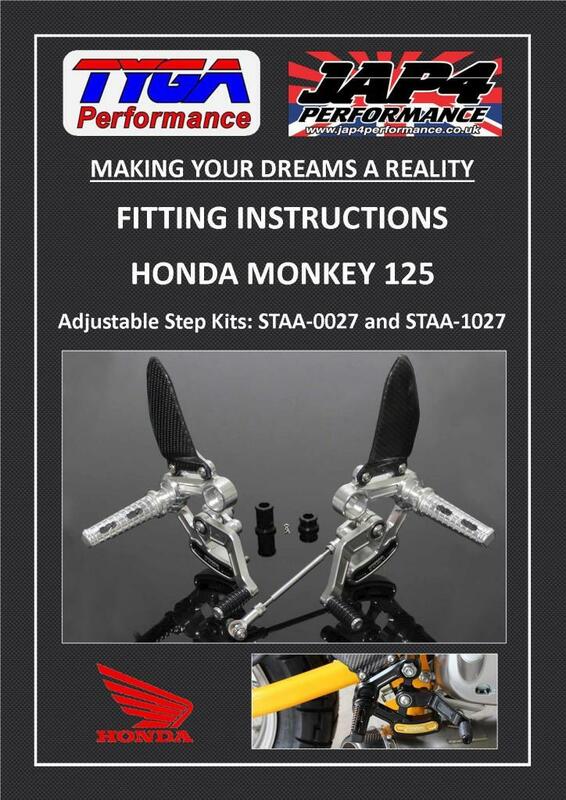 The kit comes complete, ready to bolt on with stainless steel fasteners, new OEM Honda axle bolt and carbon heel guards. With individualism in mind, there is a choice of ten colour combinations available and all components are available as replacement or separate items. 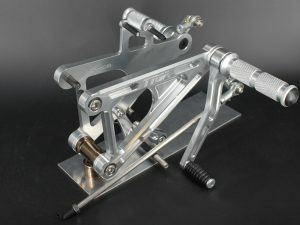 Some product photos are for reference and show different colours to this product. No real brake light provision. 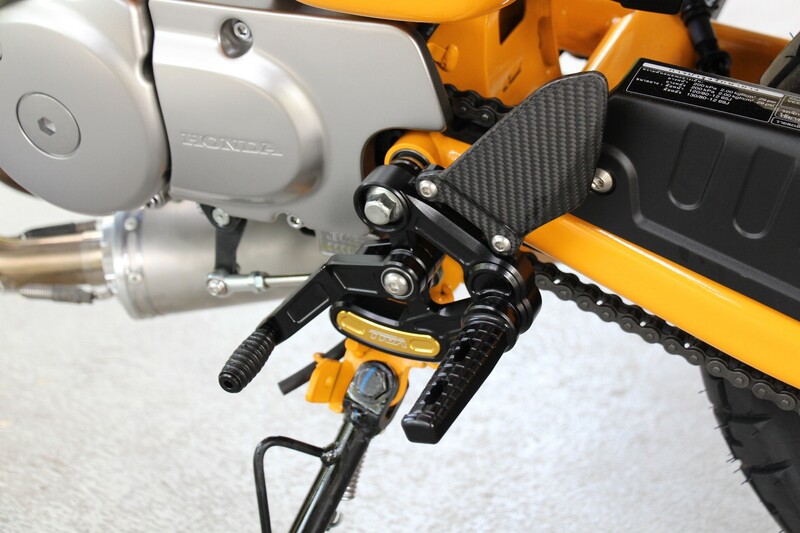 If required, we recommend installation of inline pressure switch.